Tasteless, humor-less. I was bored watching. Nothing for me to see here. Skip it! Premieres Monday Sept. 30 at 8:30 ET. I like Anna Faris. I did not like the pilot. I found nothing amusing about the show, at all. I may or may not watch on-demand. Premieres Monday September 23 at 9:30 ET. It was just okay. Nothing really funny about it. I have no clue, maybe it's just bad CBS karma(canceled a few of my favorites this year). Skip it! Premieres Thursday Oct. 3rd at 8:30 ET. 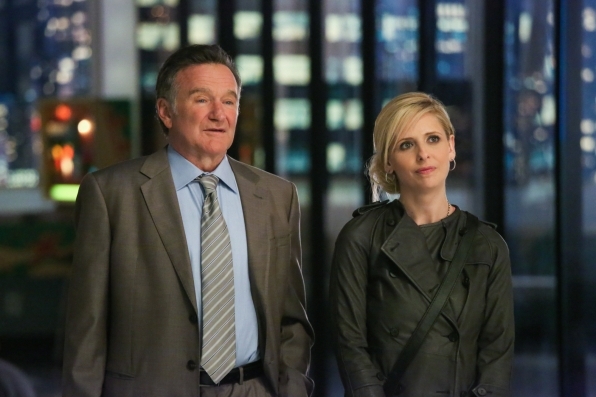 I may ONLY watch because I love Sarah Michelle Gellar and Robin Williams. It was alright. DVR it. Thursday September 26th at 9 ET. I really enjoyed "Hostages" it is very much like a mini-movies. It will keep your attention for entire time. I highly recommend this one. Watch it! Premieres Monday September 23rd at 10 ET. I really I have mixed feelings about this show. I like this is has drama, Science Fiction feel. It reminds me of "Person of Interest" with a hi-tech spin. DVR it. Premieres Monday Febuaray 24 at 10 ET.